The Orthopedic Group’s hip and knee specialists work with patients experiencing discomfort and injuries in their lower extremities, excluding the foot and ankle. Working closely with the patient, primary care physicians and rehabilitation staff, The Orthopedic Group’s hip and knee specialists are able to create a treatment plan that will provide the patient with relief and return of function of muscles, nerves, joints and bones. By using diagnostic testing such as MRIs and X-Rays, The Orthopedic Group’s hip and knee specialists can pinpoint the exact cause of discomfort. Depending on the cause of the patient’s condition, The Orthopedic Group’s hip and knee specialists can develop a treatment plan. Some serious hip and knee conditions may require surgical intervention by The Orthopedic Group’s hip and knee specialists, allowing for restoration of functions and less pain. Through surgery, The Orthopedic Group’s hip and knee specialists can make a number of improvements to nerves, bones, joints and muscles in the hip and leg area to help eliminate the patient’s conditions. By combining the treatments made by The Orthopedic Group’s hip and knee specialists with rehabilitation, a patient can see dramatic results. Proper treatment and rehabilitation will allow the patient to return to normal activities in shorter amount of time. At The Orthopedic Group, our hip and knee specialists are trained in the latest surgical techniques, as well as the latest treatment options to help you get the relief that you desire. Whether the patient is a child, an athlete or in need of specialized care or treatment, our hip and knee specialists can provide the treatment needed. 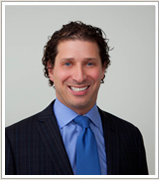 Dr. Pressman received his Doctor of Medicine from the University of Ottawa, Canada. He completed sub specialty training in sports medicine, arthroscopy, revision joint replacement and the treatment of arthritis at the most advanced center in Canada. He had additional training in cartilage resurfacing at Brigham and Woman’s Hospital in Boston. He holds fellowships in orthopedic surgery, joint reconstruction, the treatment of sports injuries and allograft transplantation from the University of Ottawa and the University of Toronto…..
Dr. Del Toro is able to provide non-operative treatment options for any musculoskeletal injury or disorder. In the near future, he will be performing Musculoskeletal Ultrasound and Platelet Rich Plasma treatments for ligaments and tendon dysfunctions…..